There are lots of games you probably already play with your kids that are easy to also do in Chinese. Uno is one of them. Uno is a great game because it teaches colors, numbers, and advanced concepts like skipping, reversing directions, and basic strategy. 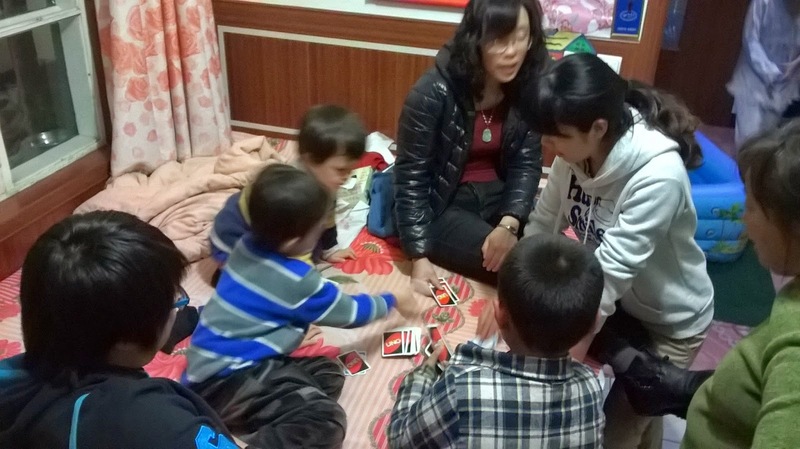 You will probably be surprised how easy it is to talk to your kids about Uno in Chinese and get everyone speaking in Chinese. We are visiting family in China now, and we brought Uno. Our 5 year old son pulled it out and started explaining in Chinese to his extended family how to play. Within 20 minutes everyone was gathered around and having a great time playing. They had all never seen a children's game like this and all quickly caught on and joined in the fun. If you don't have UNO, buy it here! I hope you have fun playing with your kids! Let us know how it goes!